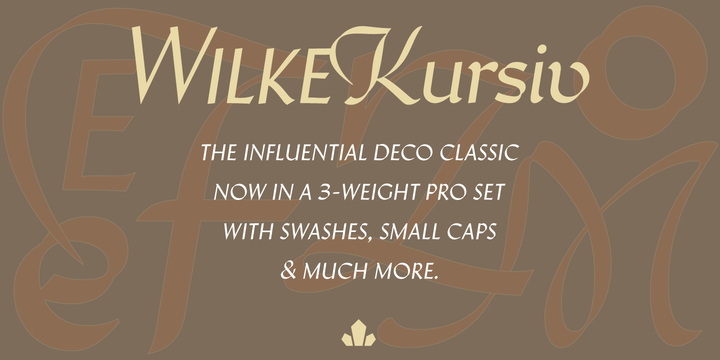 Wilke Kursiv is a typeface created by Hans van Maanen & Martin Wilke and published by Canada Type. You’ll find 12 elegant, calligraphic fonts that it has swash caps, small capitals, figures, fractions and 700 characters. I’m sure you’ll need it to you future projects. Enjoy! A font description published on Saturday, March 23rd, 2013 in Canada Type, Fonts by Alexandra that has 2,691 views.